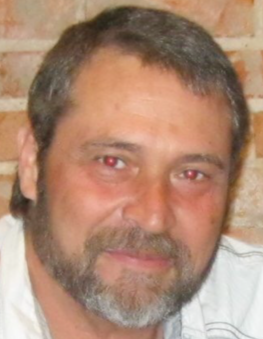 Daryl “Buck” E. Dull, 54, of Tiffin, passed away Tuesday, January 22, 2019 at Blanchard Valley Hospital in Findlay. He was born on December 24, 1964 in Tiffin, to Robert and Lillie (Fitch) Dull. He married Michelle Eckert on August 17, 1996 and later divorced. Survivors include his parents, Robert “Pork” (Doris) Dull of Fort Seneca and Lillie Price of Tiffin; daughters, Brandi Dull of Tiffin and Shawna (Garrett) Mishler of Eden, NY; sons, Chase Dull and J.J. Dull, both of Tiffin; four grandchildren, Jace Ball, Korbin and Kimber Mishler and Colton Dull; brothers, Bob Dull of Bloomville, Dennis Dull of Tiffin and William (Don Kavanagh) Dull of MI; sisters, Barbara (Frank) Iannantuono and Pat Dull, both of Tiffin, Lisa Dull of AZ, Kay (Michael) Ponicall of MI and Rhonda (Woody) Woodriffe of MI. He was preceded in death by his stepfather, Jim Price. Buck was a Journeyman Maintenance for United Technologies in Indiana for several years and at Budd Co. in Carey. He could fix anything, played lead guitar in many bands, talented singer and enjoyed weight lifting and fishing. His funeral service will be at 1:00 P.M. on Saturday, January 26, 2019 at Hoffmann-Gottfried-Mack Funeral Home & Crematory, 236 S. Washington St., Tiffin, Ohio 44883, (419) 447-2424 with Rev. Paul Tyree officiating. Burial will be in Fairmont Cemetery at a later date. Friends may visit and share stories with the family from 11:00 A.M. until the time of the funeral on Saturday at the funeral home. Memorial contributions may be made to the family or to a charity of the donor’s choice. Condolences may be sent and the guestbook signed at www.hgmackfunerlahome.com.